By Alex Peet, Product Development Lead at CRL Hardware Accelerator, London. San Sebastian is a small city in Northern Spain with a special attribute: it has the highest density of Michelin star restaurants in the world, but you don’t need to visit the expensive star-adorned restaurants to experience Michelin standard cooking (just visit a bar in the Old Town and ask for pinxos). What’s happening there is that the kitchen staff are trained in world-class restaurants, then they decide to leave and start their own places, which are cheaper and owned by them, but the cooking is of a very similar, high standard. The same phenomenon has happened in Shenzhen with manufacturing. Shenzhen has the highest density of electronics factories in the world, and so the skills and knowledge available to you there is seemingly endless. I have personally been to Shenzhen on four occasions, each time introducing different projects to manufacturers. At first, our intention was to set up each businesses supply chain and help them select their factory, we quickly realised it’s not that simple. Ten years ago a 200,000 unit order to a toy manufacturer was considered run of the mill. Nowadays factories would be very happy to receive a 50,000 unit order. You may think that startups have no chance of working with a factory of this calibre with typical first orders of 1000-3,000 units. However, some do realise the potential for growth in hardware startups (much more so than in the UK, I might add). This means they will entertain smaller unit orders if there’s promise that the company will be successful and more orders will follow. Manufacturing a product is rarely straightforward; from the 30 hardware businesses we’ve had in the CRL cohorts so far, three companies are currently producing units. This is further evidence of how difficult it is to launch a hardware start-up. 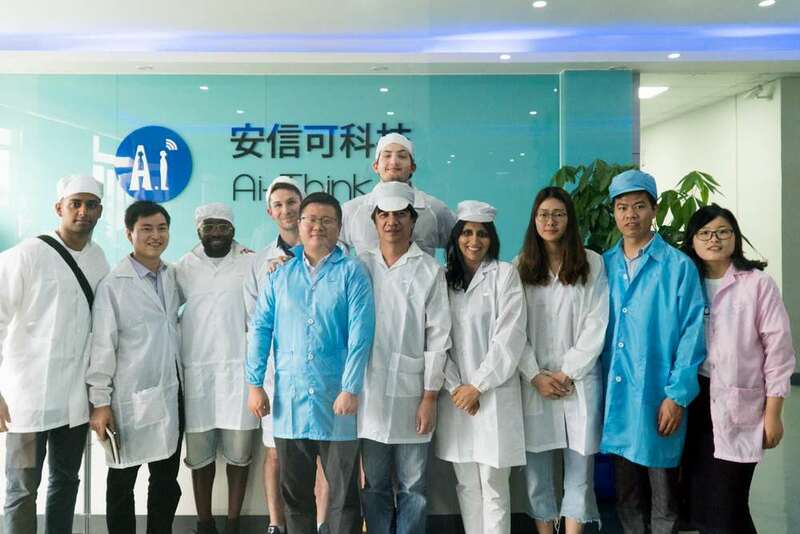 With the network we’ve built up in Shenzhen, we try to tailor the trip depending on what sort of product we’re working with, so the founders can get the most value possible. So what can a hardware startup learn from visiting Shenzhen? A big fat reality check. The majority of founders come back from Shenzhen with a few realisations. The first is that there’s no magic wand that turns their prototype into a manufacturable product, yes you can ask the factory to help with engineering exercises or the mystical ‘design for manufacture’ process done at a cost. But fundamentally, if you take an hour to assemble your product, you’re going to need to spend a lot of effort in getting that time down. In reality, manufacturing boils down to a line of people putting your product together over and over again, it’s your job to make it easy for them, or face higher costs or endless problems on the assembly line. If you’re familiar with hardware then you’ll know about tooling costs, but unfortunately, there are many more costs to consider. Depending on the factory you’re working with – the time to train the factory staff to assemble your product, engineering time, time delays from product problems, shipping, transport, hotels, even changing the colour plastic in an injection moulding all need to be factored into your products profit margins. My advice is to plan for the things you will inevitably miscalculate or underestimate. Shenzhen isn’t the right place for everything. If you’re manufacturing electronics in a box, robots, mobile phones, IOT, drones and products of that nature then Shenzhen is the right place for you to visit. If you’re designing a product that uses wood, ceramics or generally products of an artisan nature, you’re going to struggle. China is a big place and each province has focussed on a particular speciality, Shenzhen’s speciality is electronics, whereas the rest of Guangdong has textiles and furniture capabilities, but they are much further afield. When you present your designs to a factory over email, the language barrier can often mean replies are short and lack detail. On the other hand, when you’re sat together looking over drawings there’s a lot more information that can be gauged. You’re also able to explain technical problems via sketches and worth them through together. These solutions can be incorporated into the design and help avoid future manufacturing problems or unusually high costs. Although Shenzhen is still known as one of the world’s manufacturing hubs, it’s experiencing a vastly growing population with much higher wages than ten years ago. Adding to this, the price of rent is increasing, which means factories are moving further and further out of Shenzhen’s centre.